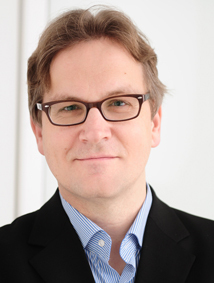 Dr. Michael Waibel is working as senior researcher, lecturer and project leader at the Department of Human Geography of the University of Hamburg, since 2007. From 1996-2007 he was research associate at the Department of Human Geography of the University of Göttingen. From 1996-2001 he worked there as Junior Lecturer and from 2001-2007 as an Assistant Professor. He holds a Ph.D. in Human Geography and a M.Sc. on economic geography, geography and national economy with key competencies in urbanism, housing, urban governance, urban lifestyles, green growth approaches, energy geography, empirical research methods and climate change mitigation strategies. His thematic range of lecturing is very broad with a focus on urban geography, environmental governance, sustainability issues and energy geography. He has been continuously teaching since 1996. He has more than 22 years of international experience in academic work, consultancy work and capacity development in Southeast Asia as well as in East Asia. In 2001 he published his Ph.D.-thesis about urban development of Hanoi / Vietnam. He has benefited from well over 80 study trips to the Asian region. Michael has a rich experience of working within trans-disciplinary teams and of successfully cooperating with scientists and professionals from other disciplines. From 2007-2009 he worked on several missions as consultant for the EU-funded project VN-UEPP (Vietnam Urban Environmental Planning Programme). Also in 2009 he was scientific consultant on behalf of the PPJ-consortium (Posco E&C, Perkins & Eastman, JINA Architects) in regard of the development of the Hanoi Capital Construction Master Plan to 2030 and Vision to 2050. In 2015 he was scientific consultant in regard of the Revised Mekong Delta Regional Plan 2030 & Vision 2050; on behalf of RUA (Research, Urbanism & Architecture / Belgium) and SISP (Southern Institute of Spatial Planning / Vietnam). From 2007-2014 he was sub-project leader within the Priority Programme 1233 of the German Research Foundation (DFG SPP 1233) “Megacities – Megachallenge: Informal Dynamics of Global Change”. This is a programme over a period of six years, divided into three two-year-phases from which he has been able to recruit funding for all phases from 2007 till 2014. Within this programme he did research on questions of urban governance related to economic-spatial upgrading in China. Further, he was recognized research partner within the five-year research programme “Research for the Sustainable Development of the Megacities of Tomorrow – Energy- and climate-efficient structures in urban growth centres” funded by the German Federal Ministry of Research and Education (BMBF), Title of the action: “Megacity Research Project TP. Ho Chi Minh: Integrative Adaptation Planning Framework”. This project started in 2008 and lasted till 2013. Within this project led by Brandenburg University of Technology he coordinated the Work Package “Climate-Adapted Housing and Energy-Efficient Buildings”. Major outcomes of his project activities have been the “Handbook for Green Housing” published in 2011 and the “Handbook for Green Products” published in 2013, both in Vietnamese and English language. In 2017, Dr. Waibel became a recognized partner of the BMBF-funded CLIENT project “CAMaRSEC: Climate-Adapted Material Research for the Socio-Economic Context of Vietnam” a consortium lead by Dr. Schwede of Stuttgart University. Project duration is till 2022. Within this project, Dr. Waibel is coordinating the Work Package “Governance of Sustainable Buildings”. Since November 2017, Dr. Waibel is leader of the BMBF-funded project “Build4People: Sustainable Buildings for People – Enhancing Urban Quality of Life in Cambodia. Timeline of the whole funding initiative is till 2027. Dr. Waibel is consortium leader and guiding the Work Packages “Sustainable Urban Transformation” and “Coordination, Communication & Dissemination”. Additionally, he has worked as a consultant for various communes in Germany mostly in the field of demographics, especially in the case of population prognosis. Further he was scientific coordinator and keynote speaker at numerous conferences on behalf of Goethe-Institut Vietnam. Topics covered were creativity and urban development (2014 & 2015), green growth (2013), green housing (2012) as well as climate change and sustainable urban development (2010). To reach a wider audience, he disseminated research results by renting booths at several industrial fairs (GreenBIZ Hanoi 2009, ConBuild Hanoi 2010 and GreenBIZ Hanoi 2013) and also became curator of several poster and photo exhibitions. Themes of the exhibtions were among others Mega Cities in Southeast Asia (2011), Chinese metropolis in transition (2008, 2009, 2010, 2012, 2014, 2015, 2016, 2018), Creative hubs in cities in Asia and in Europe (2014) and Climate change and sustainable urban development in Vietnam (2011). In 2014 he was the leading editor of the large format book “TP. Hồ Chí Minh: MEGA City” supported from the Goethe-Institute Hanoi, AUDI Vietnam, Schenker Vietnam, Siemens Vietnam, KFW Vietnam and several other institutions. The second book of this series dealing with Hanoi, “Hà Nội: CAPITAL City”, got published in 2015. In the same year it received the “Bùi Xuân Phái – For Love Hà Nội”-Award in the category “Best Works”. The publication “Đà Nẵng: COASTAL City” completed the book trilogy on urban Vietnam in 2016. In 2016, as well, he published the 3rd updated edition of “TP. Hồ Chí Minh: MEGA City – Edition 2017” (see interview published at Saigoneer on 20 October 2016 to get more information on this most recent publication). In 2017, the fourth publication illustrating recent urban development, was published: “Phnom Penh: CAPITAL City”. Supporters include the German Embassy of Phnom Penh, Audi Cambodia, Cambodia’s biggest bank ACLEDA and KFW Cambodia. In 2013, he was Guest Lecturer at the Faculty for Urban Planning at the Ho Chi Minh City University of Architecture, at the Faculty for Urban Management, National Academy of Public Administration (NAPA), Hanoi and at the Faculty for Geography, National University of Social Sciences and Humanities (USSH), Ho Chi Minh City. DAAD funded the latter two of those short-term appointments. Regularly he publishes academic papers, serves as peer-reviewer for various international academic journals and for scientific organisations. He has been managing editor of the scientific journal PACIFIC GEOGRAPHIES, since 1999, as well as of the book series PAZIFIK FORUM, since 2002.